Writing fan-fiction for over twenty years meant that when I began to write my first novel, I started with a handicap. I was used to living in someone else’s world. I was used to working with characters who were, for the most part, already fully developed. As a result, I had no real experience at character development, and it showed. The first book I wrote remains unpublished for the simple reason that it didn’t deserve to be. It was terrible! I was still, in many ways, writing fan-fiction. 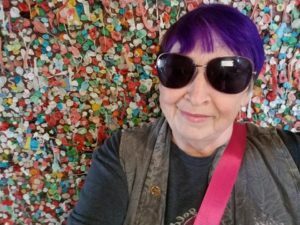 My characters were one-dimensional and lacked the unique qualities that would make them pop on the page and in the reader’s mind. My first book was a valuable learning experience, though a painful one. Faced with the reality of how horrible it was and understanding the reasons for it, I began to research tools and techniques which could help me develop characters with real depth. That’s when I found character profile worksheets, many of which can be found on the Internet. These sheets contained a list of questions that introduced me to each of my characters. Real understanding came when I moved past those early, introductory queries and began to delve more deeply into why they answered the questions the way they did. It’s fine to respond to the question: ‘How does the character deal with anger?’ by stating that he or she reacts with outbursts or shouting. But understanding why they deal with it that way requires a deeper level of understanding. It requires going back into their past experiences sometimes all the way to childhood. That one simple character trait, if used as a starting point to deeper analysis, can lead to insights that reach far beyond that one introductory question. I tend to fill out character profile sheets in a fair amount of detail. And during those times when I’m floundering and unsure how a character might respond to a given situation, re-reading their profile sheet can provide the insight I’m seeking. I often go back and revise or add to these profile sheets as new aspects of the character’s personality and motivations come into focus. Those profile sheets are my primary tool for developing characters, for keeping them consistent, and for helping them grow. You’ll find a GREAT character profile form here! 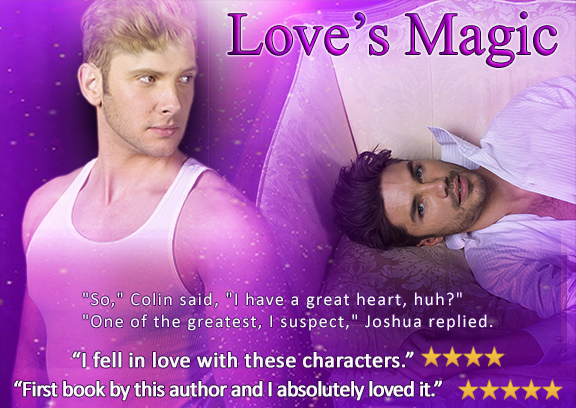 This entry was posted in Gay Romance and tagged gay fiction, gay romance, love's magic, M/M, M/M fiction, M/M romance by Janice. Bookmark the permalink.